In October of 2013, USRowing adopted SafeSport policies aimed at eliminating any forms of the following six areas of misconduct: sexual misconduct, emotional misconduct, physical misconduct, bullying, harassment and hazing in our sport. USRowing has partnered with the Center for SafeSport to provide training and education on these various forms of misconduct. The center has developed a comprehensive online program, which is free to all members of the USRowing community. It focuses on both identifying misconduct and the steps needed to prevent it and report it. All USRowing covered individuals (i.e. coaches, board members, etc.) are required to take the online SafeSport training program. USRowing recognizes that education and awareness may be the best approach to prevent issues of misconduct. 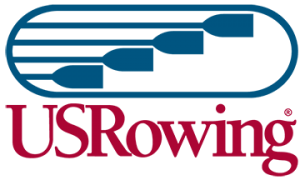 USRowing therefore strongly encourages each member organization to adopt a policy that all athletes and parents also view the online SafeSport training program provided by the U. S. Center for SafeSport. Go to SafeSport.org (or click the button below) and click on the “Sign In” button (upper right corner).